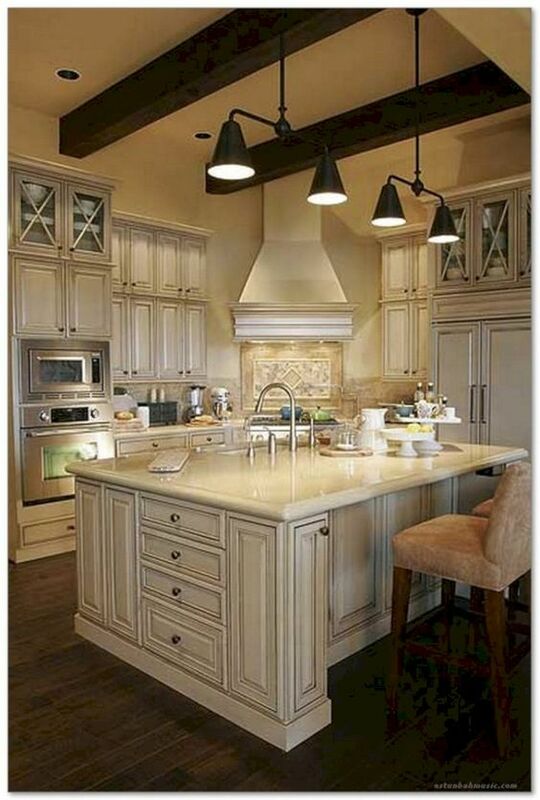 Knotty Alder Kitchen Cabinets in Natural Finish It offers brand new desirable features paired with bold personal style. 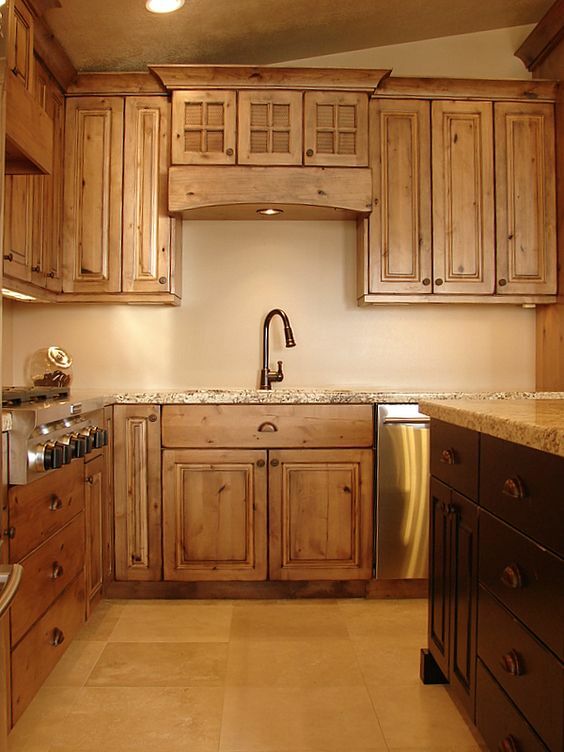 This kitchen has a rustic style and yet looks elegant with its Alder kitchen cabinets in our Plymouth door style features side-by-side vertical panels that give off a sense of symmetry. 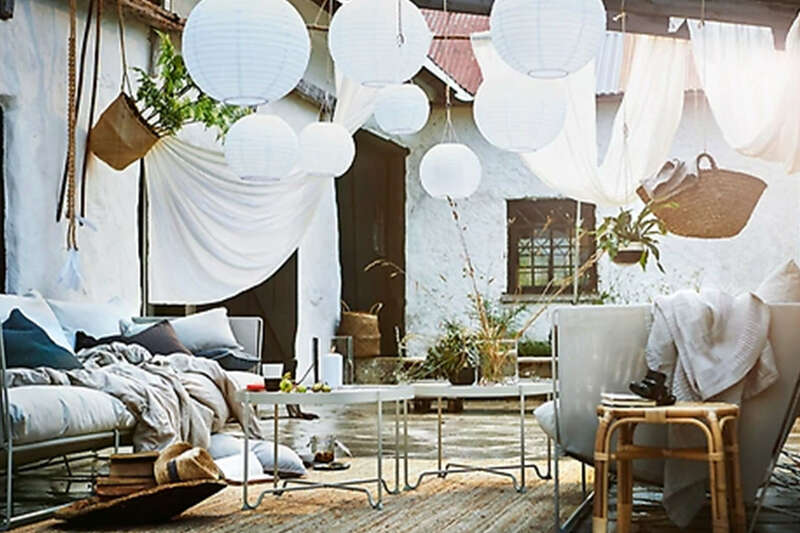 All of this put together and you get a perfect space for relaxing or entertaining. 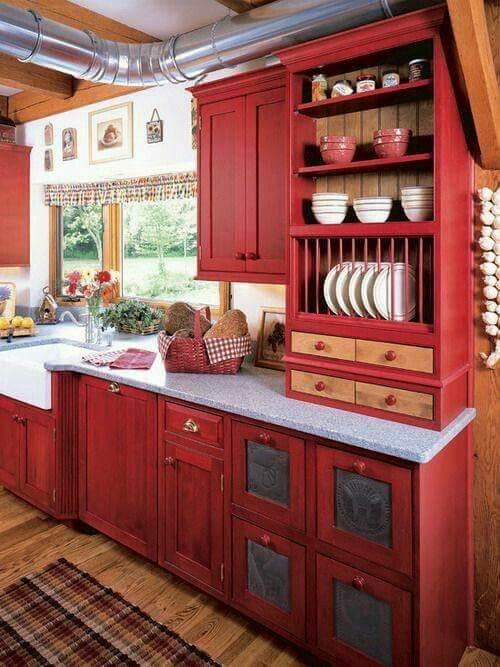 European Style Kitchen with Red Kitchen Island By striking a balance between textural contrast and daring color, this European style kitchen becomes irresistible to take eyes off. 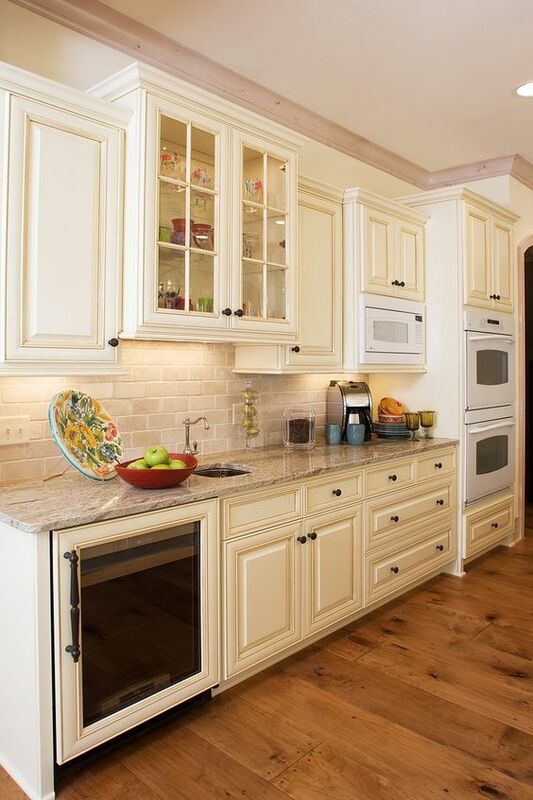 Thermofoil cabinet styles with two finishes produce a pleasing visual combination. A distinctive stainless steel hood portrays the open layout as both practical and dramatic. Painted Kitchen Cabinet in Alabaster Finish Premium Alabaster finish and Pewter Glaze adds on to the wintry brilliance of the painted kitchen cabinets’ color palette. A massive and crisply turned leg anchors the long dining island. Bright nickel fixtures compliments polished surfaces. The antique leaded glass window gives fine personal touch and fits right in. 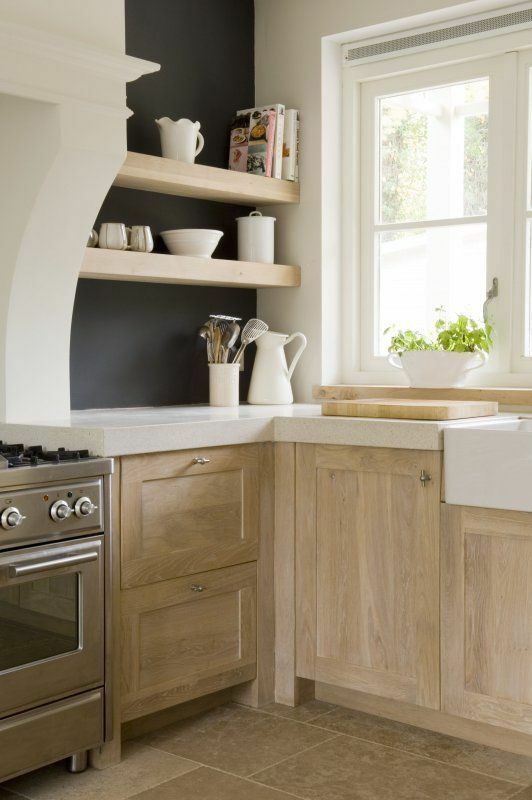 White Oak Kitchen Cabinet with Gloss White Accents Bold lines in subtle color give a feel of contemporary confidence in this modern kitchen space. 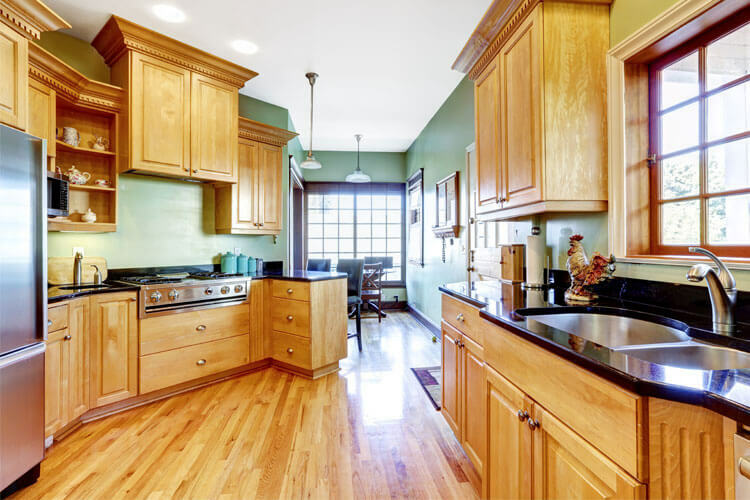 It features White Oak kitchen cabinets. Contrasting base and wall cabinet finishes give a design with an innovative edge. Off White Kitchen Cabinet This kitchen cabinet offers essential features, describing daily life in easy-for-living Elan‘s kitchen with off-white kitchen cabinets. Deep cabinet drawers bring every item directly to you with a fingertip pull of the decorative hardware while overhead cabinet doors with frosted glass create a great display.